The kitchen may be the heart of your home, but no one in their right mind would want a heart that’s old and lifeless⎯a dull and drab kitchen that might as well belong in a morgue rather than a house. If you find yourself avoiding your kitchen to the point that you’re not doing any cooking in there at all, you should consider transforming it into a colorful cooking space that’s vibrant and lively enough for you to spend more time there and not feel embarrassed when you have guests over. 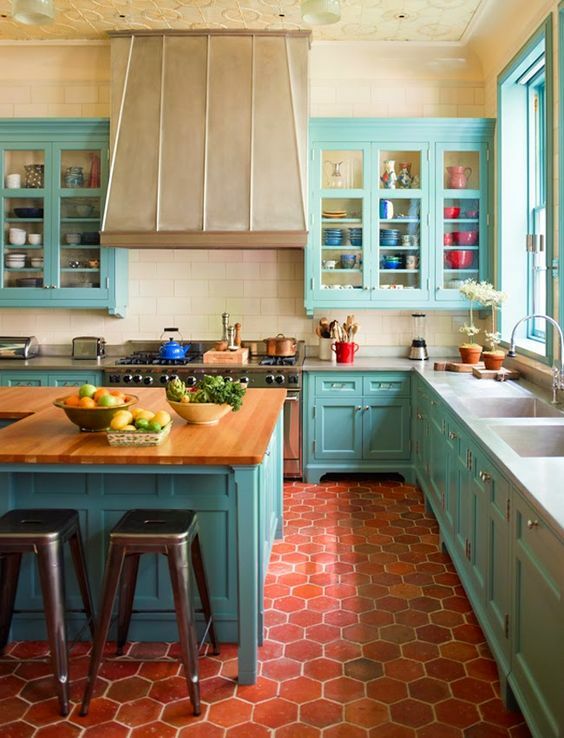 Why Should You Add Color to Your Old Kitchen? The kitchen serves as the central hub of your house. After all, the kitchen is where you prepare and cook meals for you and your family to eat, wash the dishes after having finished your meal, bake the occasional cake for a member of your family who’s celebrating their birthday, and so much more. 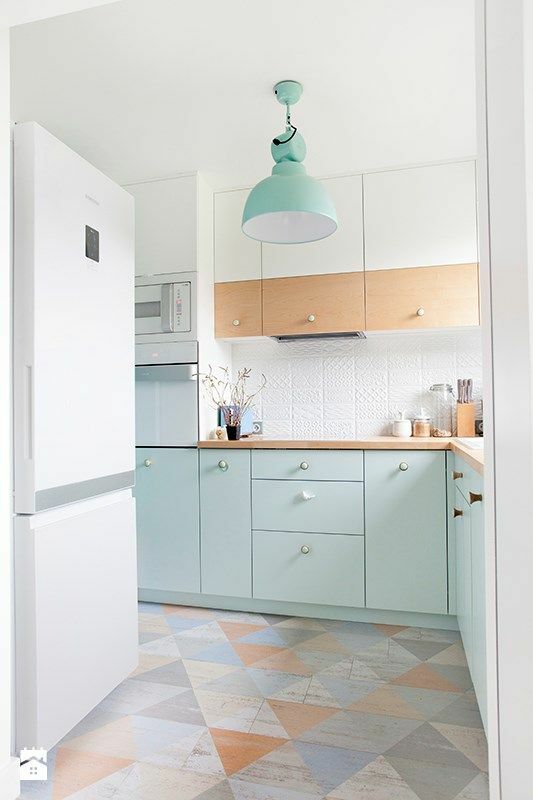 With that kind of activity going on, you wouldn’t want your kitchen to look contrastingly boring and worn out⎯which is why you should make your old kitchen colorful. Here are a couple of reasons to hopefully convince you further that adding color can breathe new life into your kitchen. 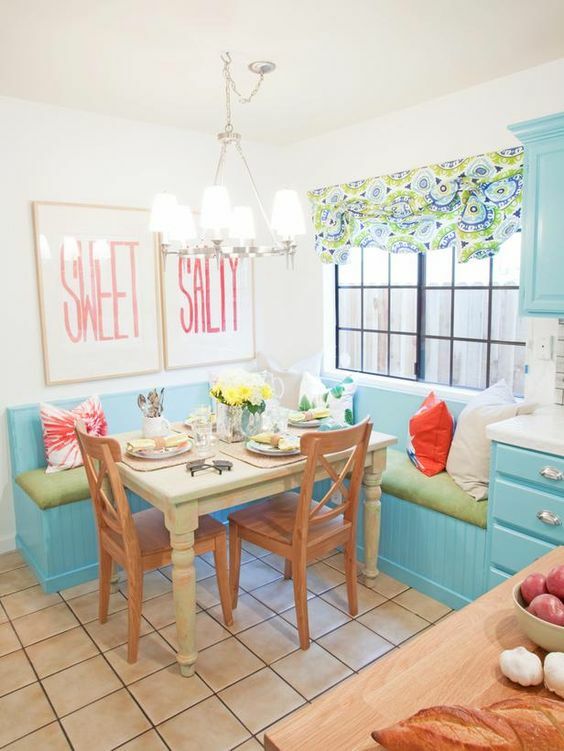 Bonding time with your family becomes livelier when it takes place in a colorful kitchen. It’s rather unfortunate that most families these days spend less time dining together in the kitchen; unlike before when every family member had to stop whatever it is they were doing to head over to the kitchen for a hearty meal. Your old, lifeless kitchen may be a gripping reason as to why your family doesn’t want to spend some time eating there (and instead dines in silence in front of the TV!). Putting some color into your old kitchen can pull your family back into eating their meals there, even without you having to ask them. Your children might even decide to join you and spend some time in your upgraded, colorful kitchen. As children try to make sense of the world around them, one of the first few things that they very easily gravitate to is colors, most especially bright ones. 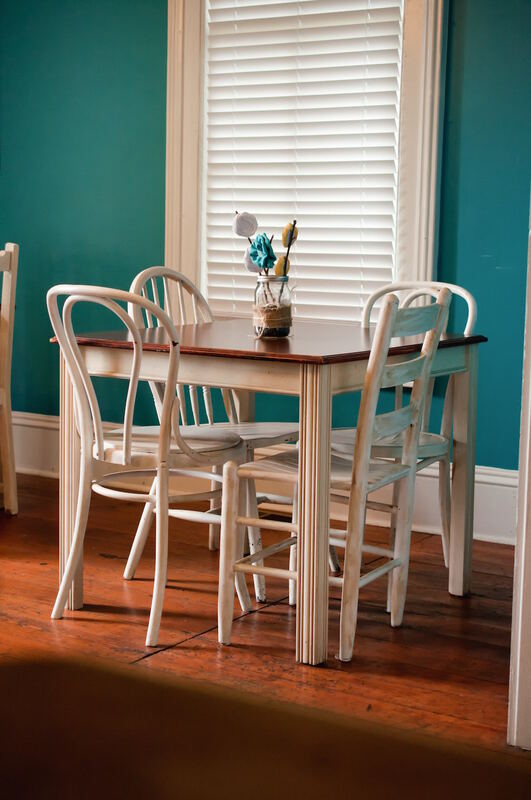 If you happen to have children yourself, adding color to your kitchen can bring them to spend some extra time there after going to school and playing in your backyard. Your children might even volunteer to help you prepare your meals or bake a birthday cake in your kitchen after you’ve turned it into a colorful cooking space⎯as long as you teach them how to wash their hands first. 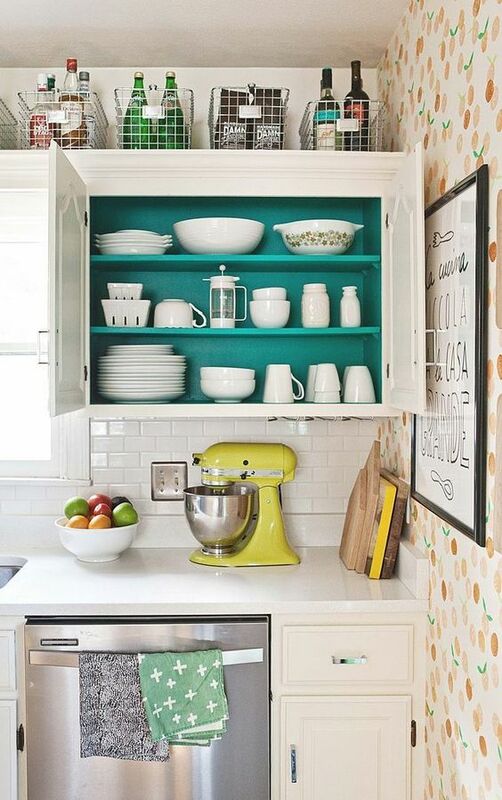 How Can You Turn Your Old Kitchen into a Colorful Cooking Space? 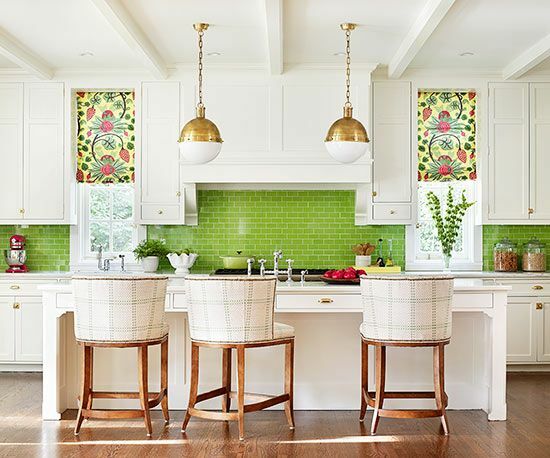 Regardless of your culinary skills (or lack thereof), you can easily transform your kitchen from old to gold⎯and other colors too while you’re at it⎯with these tips that are sure to turn it into a cooking space that’s colorful enough to offer a feast for the eyes. Buy some paint and slather it on the walls and ceiling of your kitchen. If your kitchen were a human, it’s so pale that only a fresh paint job on its walls and ceiling can bring back some life to it. 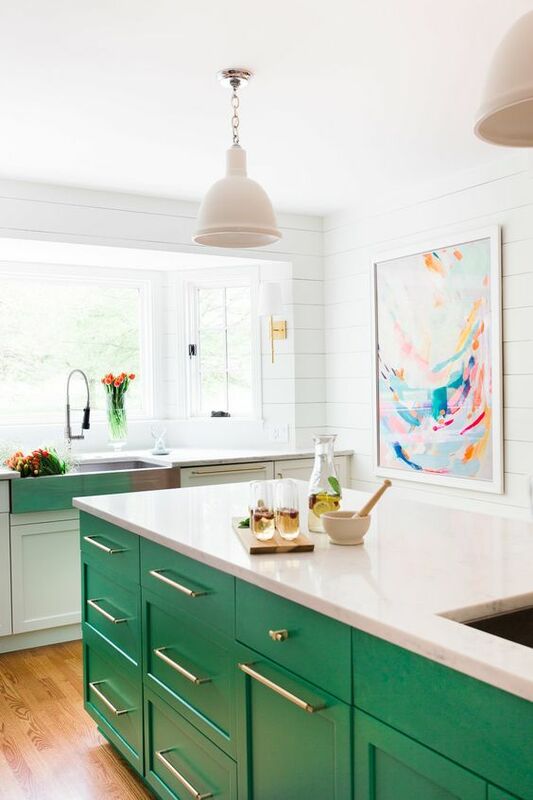 It’s totally up to you as to what colors you feel like using for the paint job you’ll be doing on your kitchen, as long as you go easy on the bright colors since you want your kitchen to be colorful but not a complete eyesore to look at. You can express your personality and preferred aesthetic for your kitchen’s paint job by mixing and matching different colors that complement each other perfectly. 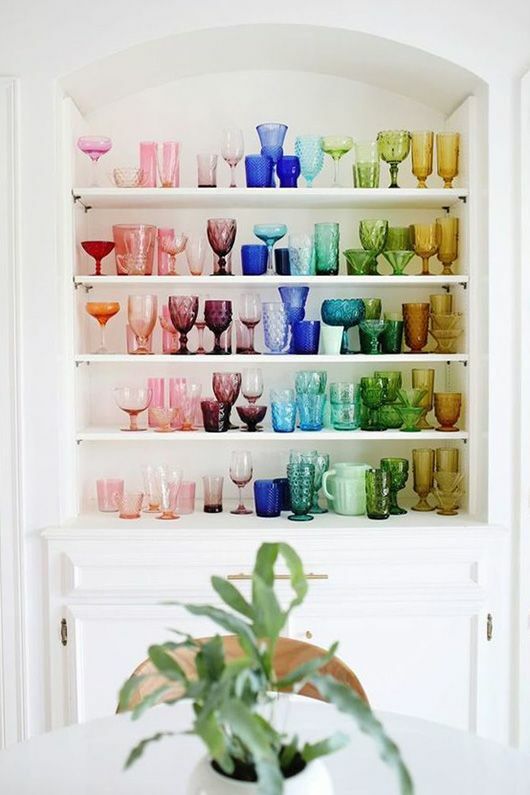 Put your colored dinnerware out in the open. Crystal clear glasses and white ceramic plates are out as they don’t exactly make your kitchen lively. You can buy dinnerware sets with different colors for you to choose from. Displaying them for everyone in your house to see (instead of just shelving them inside your cupboard) adds a bit of flair to your kitchen. Replace your white or stainless-steel kitchen appliances with colored variants. While some might exude a certain sleekness that places more emphasis on function rather than form, white and stainless-steel appliances can feel a bit too cold and clinical. Not to mention, they wouldn’t go well with the colored walls and ceiling of your upgraded kitchen. 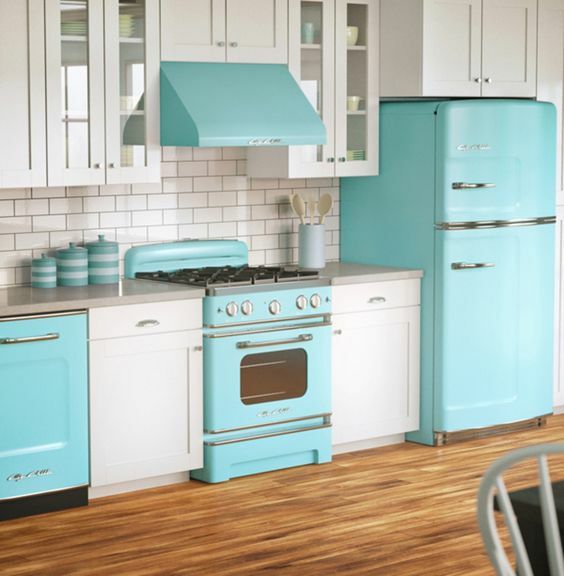 Once relegated as tacky vintage pieces found in old homes, colored kitchen appliances have since successfully beaten the stigma surrounding them and are making a slow but steady comeback. Appliance manufacturers are quickly taking note of the interest in colored refrigerators, microwaves and stoves, and the market now offers a plethora of colors to choose from. Just be sure to check out Appliance Reviewer before investing in a new kitchen appliance. But if you’re thinking of repainting the kitchen appliances that you’re currently using, and most probably with the same paint that you used for your kitchen’s walls and ceiling at that, you shouldn’t do so! Paint melts when exposed to the level of heat that most appliances generate and can potentially poison you and your family. What you can do instead is have custom colored vinyl installed on the surface of your kitchen appliances, as it can withstand extreme heat and lets you quickly remove it in case you want to revert back to your appliances’ original color. Display some artwork on the walls of your kitchen. Regardless of if it’s something you or somebody else created, a piece of artwork can add beauty to your kitchen with its decorative function and visual appeal. Putting up select pieces of artwork in your kitchen is sure to draw the attention of anyone who decides to take a quick visit while you’re preparing meals there. The art pieces exhibited in your kitchen also serve as great conversation pieces that can further liven it up. Hang a colored apron and some colored hand towels in your kitchen. Even though some people prefer to use white aprons and hand towels in the kitchen as they strongly associate the color with cleanliness, they can get easily stained while you’re preparing meals, and can be replaced with more colorful options. A colored apron and some colored hand towels make food stains less visible so that you won’t have to worry about having to wash them every single time after using them. You just have to make sure to wash your colored apron and hand towels properly such that their colors won’t fade. Brighten up your kitchen by installing some lighting fixtures. You might have already started doing all the tips listed above, but adequate lighting brings out all the colors you’ve added to your old kitchen. The amount of lighting fixtures you’ll be installing in your kitchen depends though on the colors that you chose to paint your kitchen with. The darker the colors that you used for your kitchen, the more lighting fixtures you’ll need to install. You can also try matching the shades of the lighting fixtures you’ll be installing with any of the colors you chose for your kitchen. Your kitchen doesn’t have to look so old and worn out that anyone might mistake it for a set of some low-budget horror movie! With the tips listed above for you to follow, you can turn your old kitchen into a colorful space where you can cook meals to your heart’s delight and even spend more time enjoying. Who knows, the new cooking space may even be bright enough to improve those sub-par culinary skills? Sara Worth is an expert reviewer and writer at Appliance Reviewer – a comprehensive and unbiased online guide, which helps readers to buy the right appliances for their home. She moved from Manchester to London where she studied electronics. At the same time, she was working as a freelance writer and also pursued her passion to be an independent interior designer. After graduating from university, she worked for over 10 years as an electronic engineer, consulting with some of the largest appliance manufacturers around the world. Sara has since joined the team at appliancereviewer.co.uk where she uses her vast knowledge of style and functionality to write about the best home appliances available on the UK market – Helping her readers to make an informed decision on their investment purchase without having to try each item first. When she isn’t writing or fixing things around the house, Sara can be found enjoying live music with her friends, or relaxing in front of the fire with her dogs.